You want your wedding ceremony and reception to look amazing and sometimes that can be hard if a big part of the room will be taken up with 100+ pretty awful looking chairs. So, the best way to bring your room together is to cover those chairs, all 100 of them. 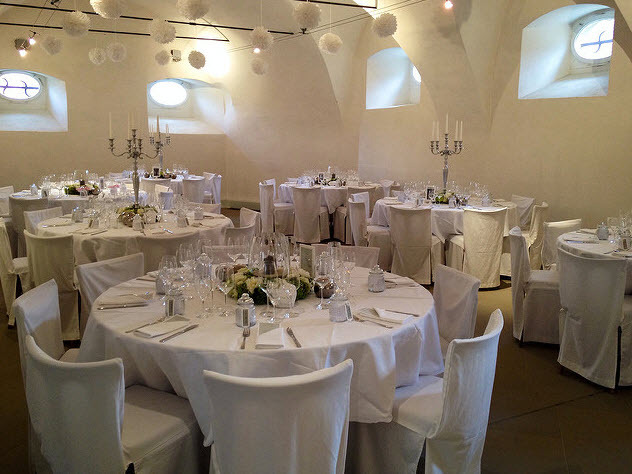 Ask your venue to rent them for you along with your linens. Quite often the cost of renting them will be almost the same as buying. Or buy them yourself and then look to sell them on ebay after the event. Although I recommend selling them after your wedding, I wouldn't recommend buying 100 secondhand ones on ebay as some will quite likely have stains on them. And that is a nightmare to try and then find matching chair covers to the others you already have. Top tip: Avoid stress and buy them new. 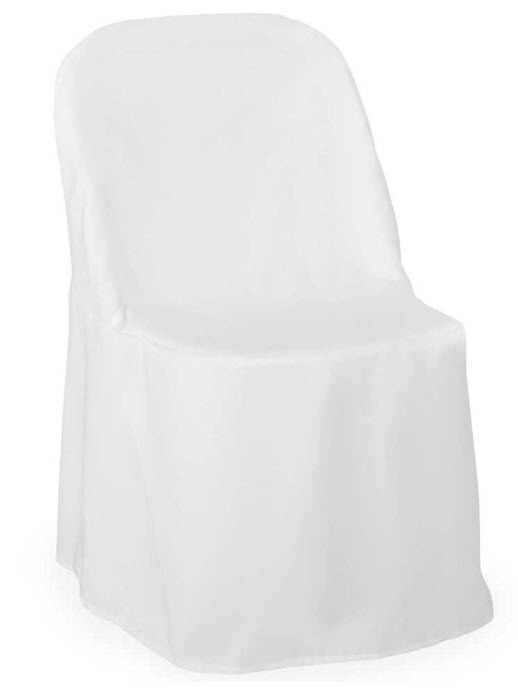 For those of you who want to buy the best wedding chair cover cheaply, I recommend this Premium Polyester Chair Cover. They fit folding chairs and also normal banqueting chairs too. Just make sure you check the length of your chair legs before choosing which ones to go for. The obvious way to add an extra splash of color would be to add a bow or sash, the only problem with that is it will cost you more. Although the sashes on Amazon start at $0.01, which is crazy pricing and 100 sashes would then only cost you $1.00. Another alternative if you want more than just a splash of color is to go for the spandex/ Lycra alternative. These look much better than they sound and they are really easy to fit, plus you won't need to iron them. A definite bonus for your wedding day! 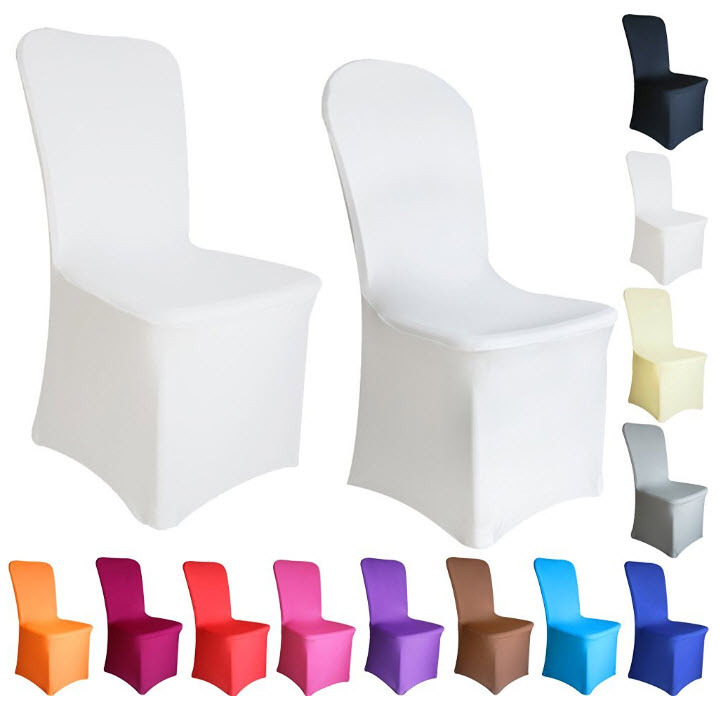 ** Satin chairs are a nightmare to sit on as you can easily slip off them! Which is the reason for my much lower score on these!